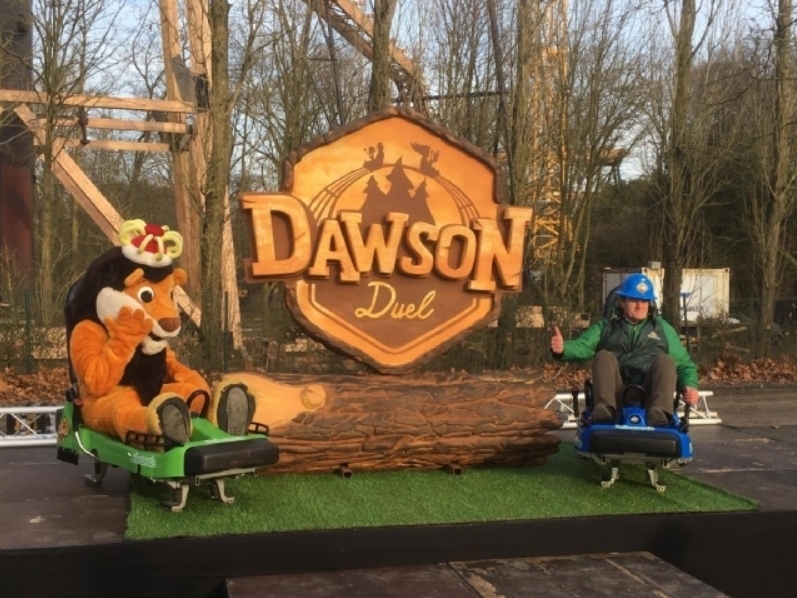 Dawson Duel - Dueling Alpine Coasters for Bellewaerde 2017 : Theme Park News & Construction! 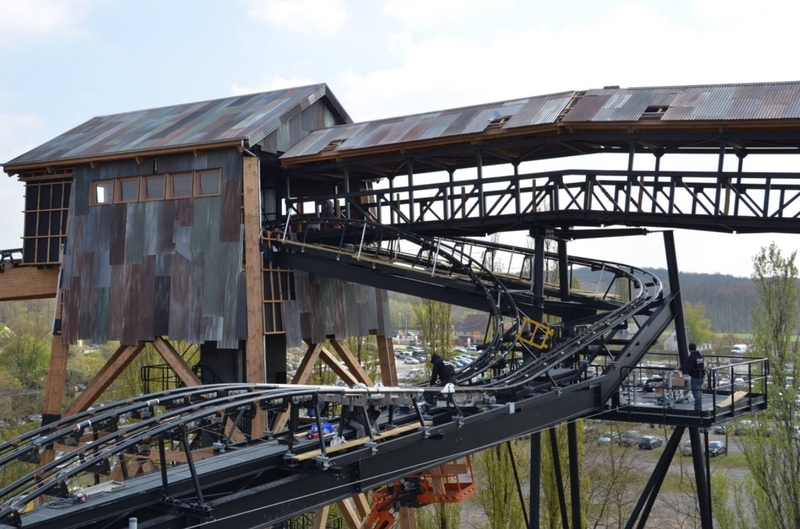 Bellewaerde Park in Belgium has announced two dueling alpine coasters by Wiegand for 2017. 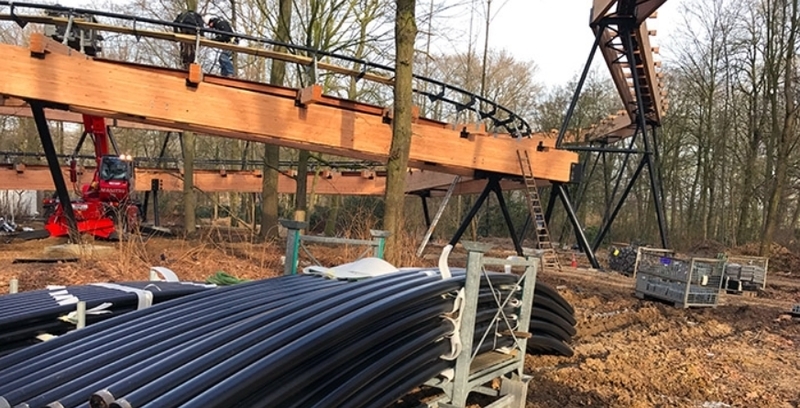 It will be 25 m high and the first racing alpine coaster in Europe. It will not use natural terrain, but a tower will be constructed and the ride will start on top. 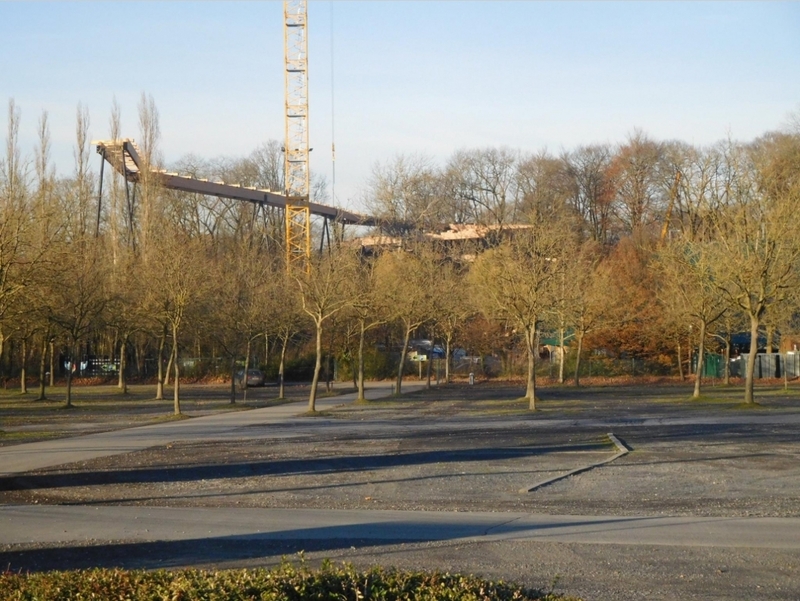 This fall, Bellewaerde starts the construction of a new attraction. 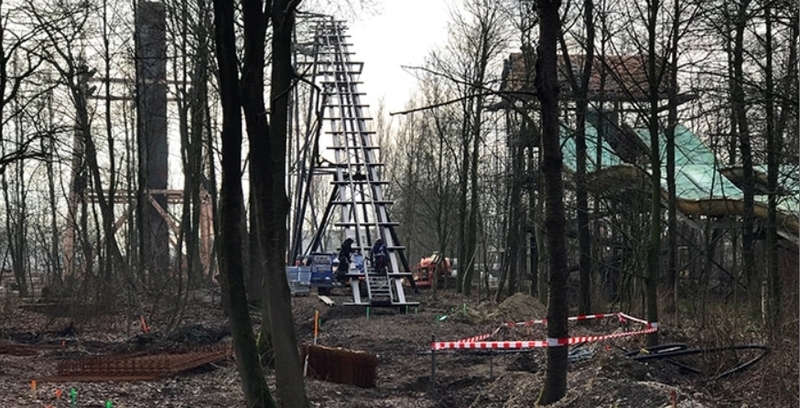 For the first time in Europe, a Duelling Alpine Coaster will be built on a non-natural hillside, which makes 2 premieres for the theme park in Ypres. After a walk until 25 metres high, visitors will be seated to start the downhill race. 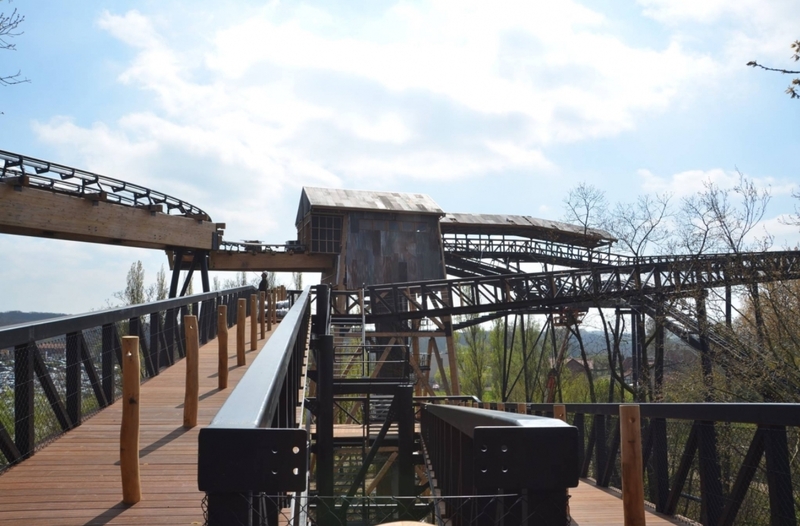 An investment of 4 million euro has been provided for the development and construction of the attraction. 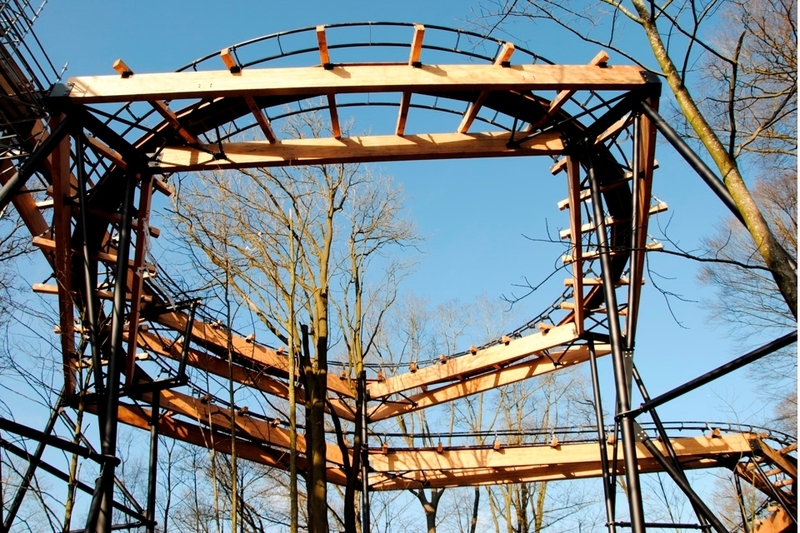 This fall, Bellewaerde starts the construction of the first Duelling Alpine Coaster in Europe. Furthermore, this type of attraction will be built on a non-natural hillside, which makes 2 European premieres for Bellewaerde. 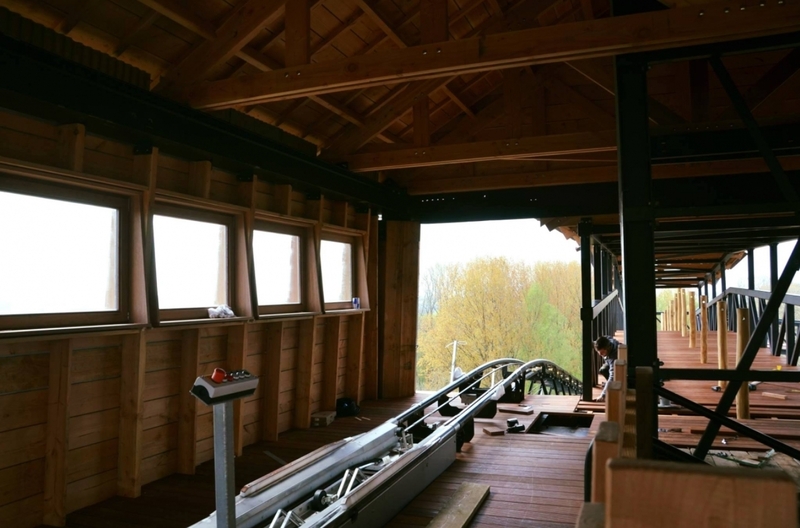 This attraction will consist of two parallel tracks which allows visitors to start a duel with each other during an exciting race until ground level. Before the visitors will start the duel, a breath-taking walk awaits them. On a unique bridge, families will arrive between the tree tops in an impressive tower of 25 metres high. From this tower, they will have a beautiful view over Bellewaerde. An investment of 4 million euro has been provided for the development and construction of this attraction. “This unique attraction is custom-made for the families as a target group. Only the combination with our motivated, friendly and helpful employees makes it possible to complete the mission of Bellewaerde: offering fun and adventure in a natural setting where family and friends experience authentic and indulging moments together”, according to Stefaan Lemey, director of Bellewaerde. I'm exactly like "Oh boy that's so a neat ride!" This is going to be horrible on many more levels though. I can totally see a 2 hour queue coming up for this and then the (Alpine coaster/Rodelbahn) credit whores among us want to ride both sides. Looks even more bizarre with those wooden beams everywhere. This is going one hell of a short ride. 25m / 82ft tall is low for an alpine coaster on height difference. 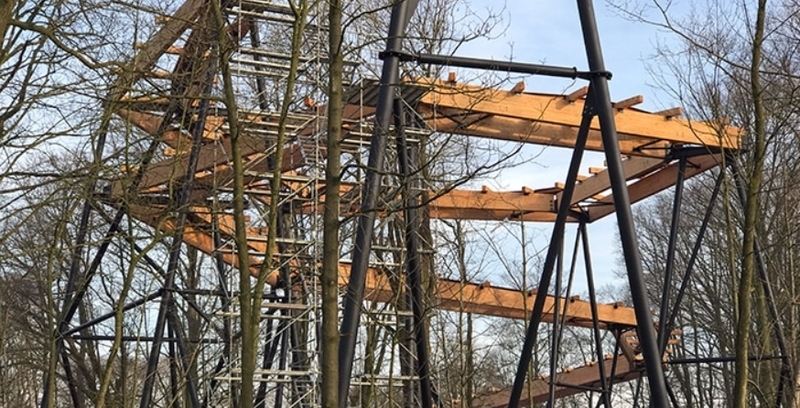 We'll see a "Kiddie" Alpine Coaster coming, I guess. ^ Pretty much an "ideal" tree house track ride, whohoo! I still think this looks like it fell out of RCT3. It's just bizarre. It looks weird... but also fun! I hope the queue's for this ride won't be huge. Hmm... the track should get repainted light brown, to be a better match for wooden parts! Can someone explain to me why I'm REALLY excited about this ride? 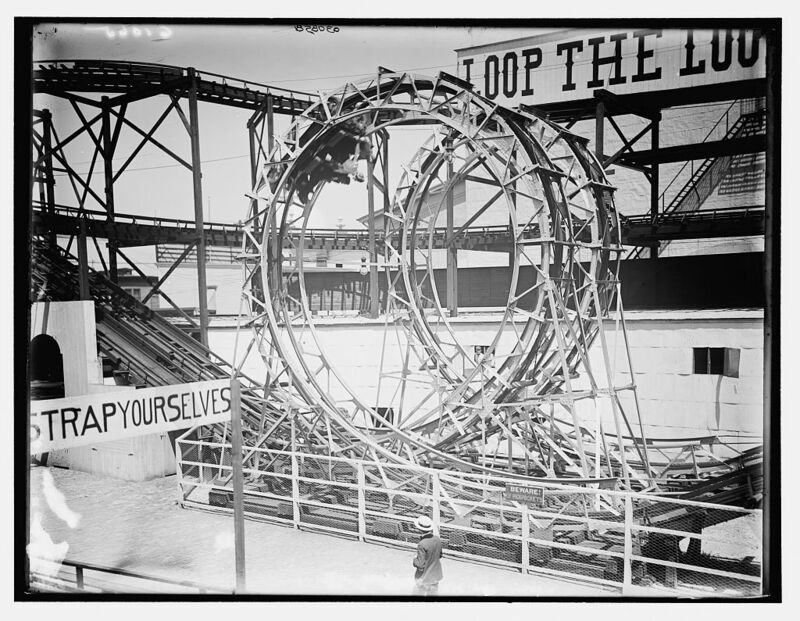 ^ Because we might see the "Loop The Loop" element added on a mountain coaster in the future. The Dawson Duel-like solid track seems to be able to deal with high g-forces - just my personal thoughts. Here's a POV. The ride opens tomorrow! This looks so boring and slow. Just as I expected. The height is too little to turn it into something awesome. I'd might check it out sometime on a quiet day, as I'm not going to wait 2+ hours for this. Here is a better POV that has more speed than the preview POV. Looks like fun. ^ In a nutshell, appealing! NOT bad at all!